Washington – The Trump administration on Tuesday moved forward on allowing Americans to purchase short-term health plans that may be more affordable than what’s on the market right now but would not contain the Affordable Care Act’s consumer protections and would undermine the health care law. Health and Human Services Department Secretary Alex Azar issued proposed regulations that would allow the sale of these health plans after new regulations are finalized following a 60-day public comment period. While the Trump administration is loosening the Affordable Care Act restrictions on the plans, it will be up to individual states to allow their sale. The plans, which are in force for less than a year, are popular with health insurers because their profit margins are relatively high. Short-term plans are not held to the ACA requirement that they spend at least 80 percent of premium revenue on medical care. These plans can also exclude coverage for pre-existing health conditions. The proposed rule also asks the public to comment on whether the plans should be allowed to provide coverage for longer than 12 months. 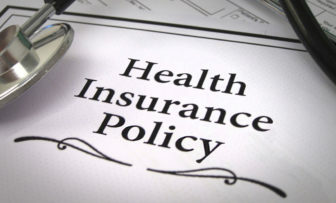 Congressional Democrats are blasting the proposal as allowing “junk” policies on the market that would leave people without the coverage they need when they become seriously ill.
Sen. Chris Murphy also said the Trump administration move is the latest effort to undermine the ACA. “Expanding short-term health care plans that don’t cover basic health benefits and discriminate against people with pre-existing conditions is not a viable solution,” he said. The plan would hurt ACA marketplaces, including Access Health CT, by drawing healthier consumers away from the exchanges and pushing up the premiums for those who remain. The new rules stem from an executive order President Donald Trump signed in October aimed at boosting competition, giving consumers more choices and lowering premiums. The new rules would reverse an Obama administration decision to limit the duration of short-term health plans to no more than 90 days. The Obama administration also outlawed the renewal of these plans. But the new regulations ask the public if they think short-term plans should be renewable. The Trump administration also issued separate regulations on Jan. 4 that would make it easier to form “association health plans,” which which would be available to individuals and small businesses through membership organizations.